Downloading codes may be the ultimate convenience for gamers, but sometimes having your own disc, especially if it’s a critically acclaimed title like Batman – The Telltale Series, isn’t such a bad thing. 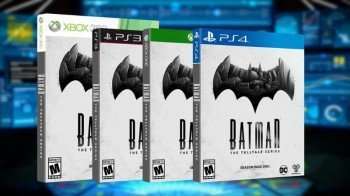 Starting today, Batman – The Telltale Series is available at retailers for an estimated $29.99 in North America as a “Season Pass Disc.” The collection includes the first five episodes of the season as well as the next four episodes when they’re available for download. Players will receive access to the remaining episodes via online updates. The game disc is now available on the Xbox One, Xbox 360, PlayStation 4 and PlayStation 3 platforms. The series also marks a first for the Telltale universe with the interactive driven Crowd Play feature, which enables players to invite other gamers to vote on story decisions from their mobile device when following along with the lead player on screen. Under Crowd Play 2-24 players can enjoy the episodes together. 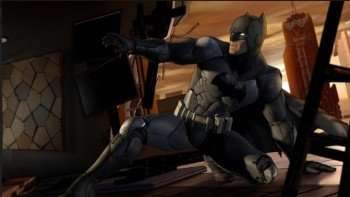 Are you a fan of Telltale Games episode driven aesthetic and have you played Batman – The Telltale Series? Feel free to comment below!